This will keep you warm on those cold winter nights. 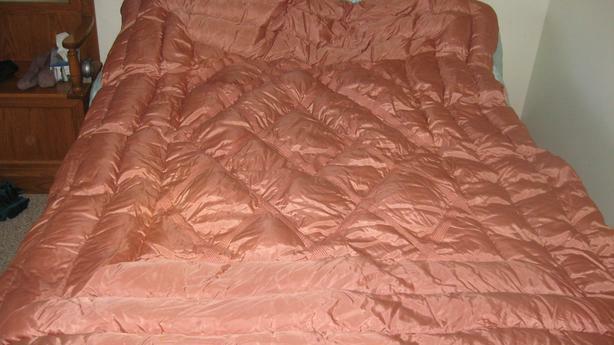 We are selling this lovely down filled taffeta satin comforter which has been in my family since the early 30's. This belonged to my grandparents and was used mostly in the winter when they lived on the farm. it is still in very good vintage condition. The fill is still nice and plump and will keep you cozy. 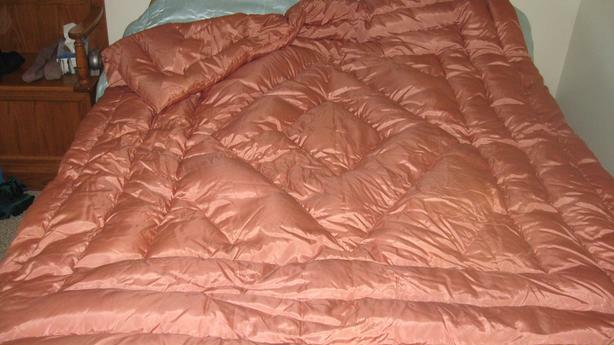 The satin is taffeta which is a mixer of nylon and silk and is a bit stiffer then regular satin. Goes great on a single bed but was used on a double bed. Has been in a blanket box for several years. It has a raised diamond pattern on the face and is plain on the back. Colour is a light dusty rose I believe. DRY CLEAN ONLY.